It has been brutally cold in New Zealand this year. After a few years of higher than average temperatures, this year we are getting a classic cold winter. That means I am learning to rug up when I head up the mountain, and rueing that I didn't bring more warm trousers with me. The best thing about this cold weather is that the snow quality is amazing. Normally New Zealand new snow is a bit wet and heavy, not the dry powder that Japan and North America are renowned for. But with an awesome couple of large snowfalls early in the season, and persistently cold temperatures, the snow has dried out to a beautiful chalky consistency that makes skiing it a dream. This is not normal for New Zealand, and everyone is revelling in it. 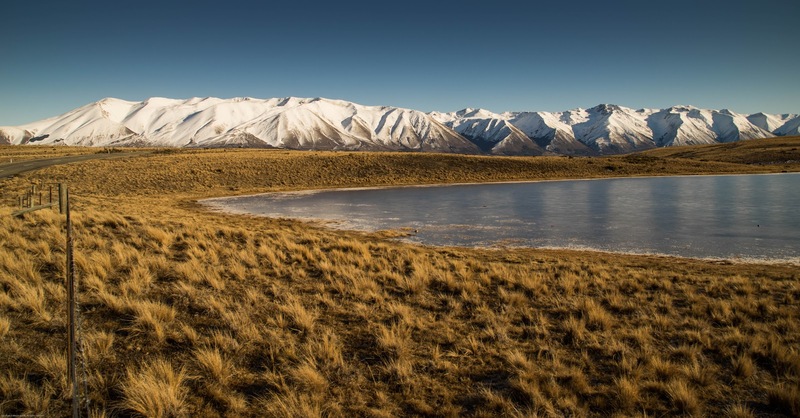 After a couple of days freezing in Tekapo, I headed a little further south to Buscot Station, where a retired farmer runs a backpacker hostel out of his house. 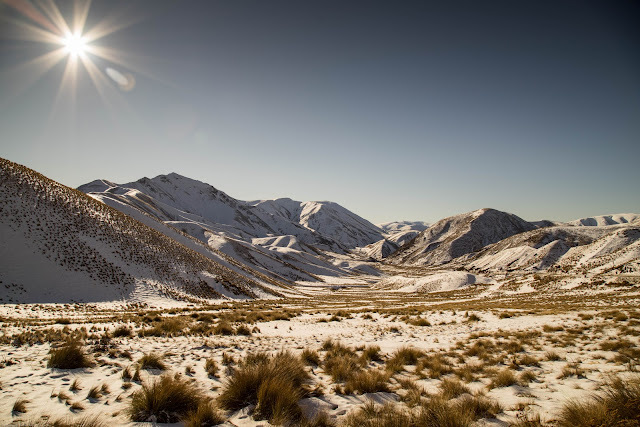 It's only 6km from the turnoff to Ohau, which allowed me to go for a day skiing up there without staying at the Ohau Lodge which is probably booked solid during school holidays anyway. I'd heard good reports about Tony's place and was pleased to find it lived up to expectations. Tony is quite an interesting character, perhaps a little Asperger like, and has done some great changes to the property to turn it into a sustainable farming operation. 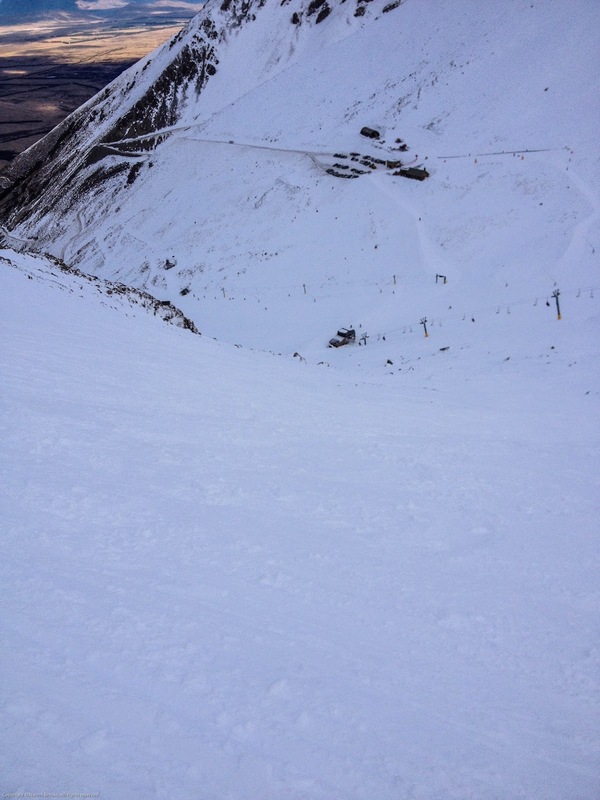 Ohau had some great snow, although only on one side of the mountain. 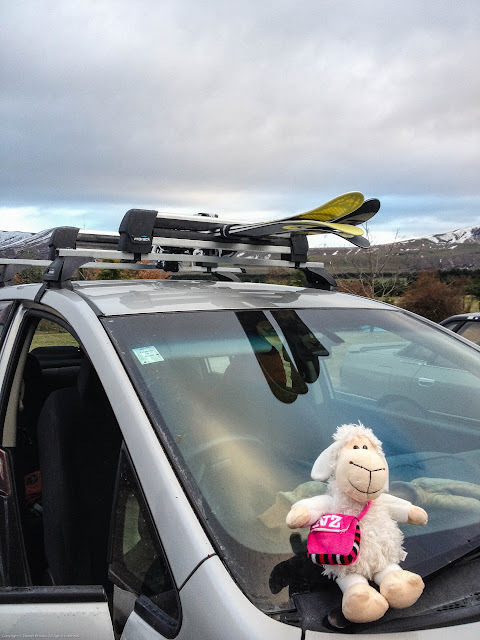 Luckily, the side that hadn't had the snow blown off by winds was well covered, and I managed to ski an entire day at Ohau without pivoting on a rock and needing another P-teks repair to my skis. Ohau doesn't have any tussock, any black objects in the snow will be rocks! I found some great lines down skiers left of the lift line, and even hiked the ridge after lunch and did a run down from there. The following day was bluebird, and rather than repeat another day skiing the same limited lines up at Ohau I decided to make it a sightseeing and photography day. 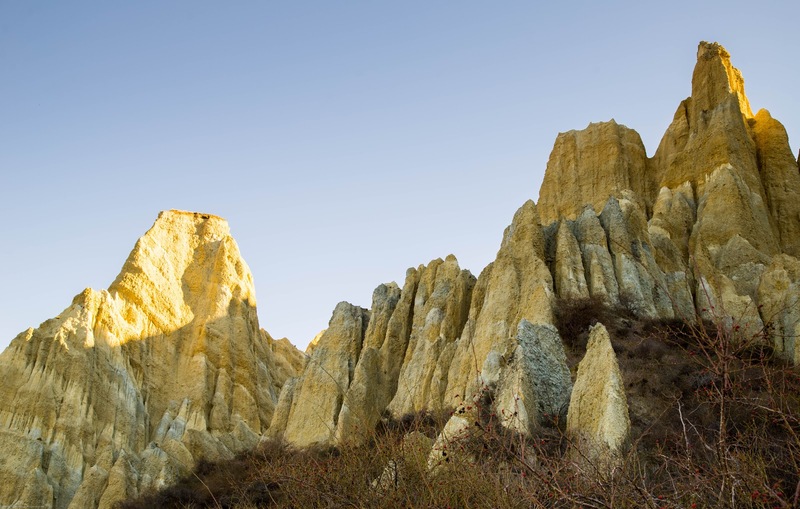 I popped back out to Lake Ohau for some shots, then headed in to see the Clay Cliffs. Unfortunately the sun wasn't fully on them, the best time to visit would be late afternoon for the full sunlit golden view. 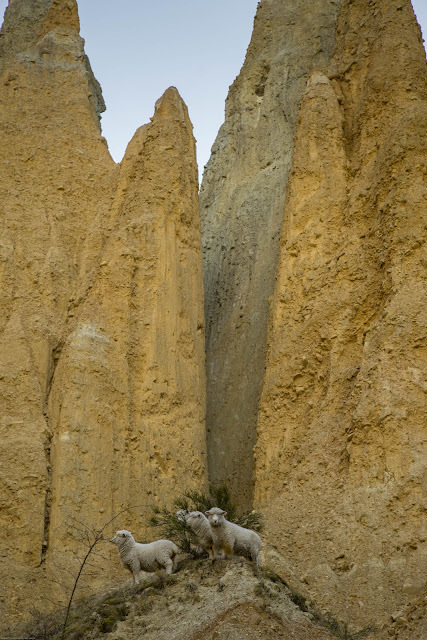 I went for a little walk around though, through a small gorge into an amphitheatre of formations, and found myself a small cluster of sheep to feature. Back to Omarama for lunch, via a detour down to the end of Quailburn Road (not much there afterall), then onwards over the Lindis Pass to Wanaka. Being back in Wanaka feels like home. After so many years coming here, and returning to the same backpacker hostel, everything is so familiar. It's smack bang in the middle of school holidays so the town is heaving at present, but in a couple of weeks it will quieten down again. However, the snow is so good it's worth braving the crowds up the hill and the long queue lines, for the awesome skiing. The whole mountain has good cover, meaning I've been skiing places that I haven't skied for years. Matukituki Basin, on the sunny side of the home basin, hasn't been skiable for years, but at present it's great uncrowded terrain, though the bottom is getting a bit dodgy. I haven't been down the Motatupu Chutes yet, but I've pretty well skied most of the mountain in the two days I've been up. I ran into Phil on Sunday. I skied with Catherine and Phil almost the entire time I was here in 2013, and then Catherine died suddenly in 2014, so it was bittersweet for me to return to Wanaka and remember the awesome lady I'd had the privilege to call my friend. I joined Phil and Belinda (another of Catherine's friends I'd skied with before) for a few runs, though I couldn't convince them to come down Drop Off which was skiing so nicely at the moment. Drop Off goes right underneath the chairlift, so you have lots of spectators whilst you negotiate a steep tight chute. Falling over isn't an option!! I'm really pleased with my skiing this year. Not only have I overcome almost all of my irrational fear, I am now enjoying skiing more difficult terrain and am no longer intimidated by bumps and moguls. I'm still no expert skier but I'm pretty confident skiing almost anything on the mountain. I've come a long way indeed. Monday was my first day cleaning rooms at the backpacker hostel. I'm working with a Swedish lass called Anastasia, who had to show me the ropes. Hopefully I'll be a bit faster as I get used to the routine, but it's not difficult work changing bed sheets, vacuuming and cleaning bathrooms. I'm yet to discuss gardening duties, but the severe frosts and cold weather is sure knocking around some of the plants. The hostel crowd are the usual mix of international guests of various ages, all very nice and friendly. There's a lot of long termers staying here, as rental accommodation in town is very tight at present. And expensive. 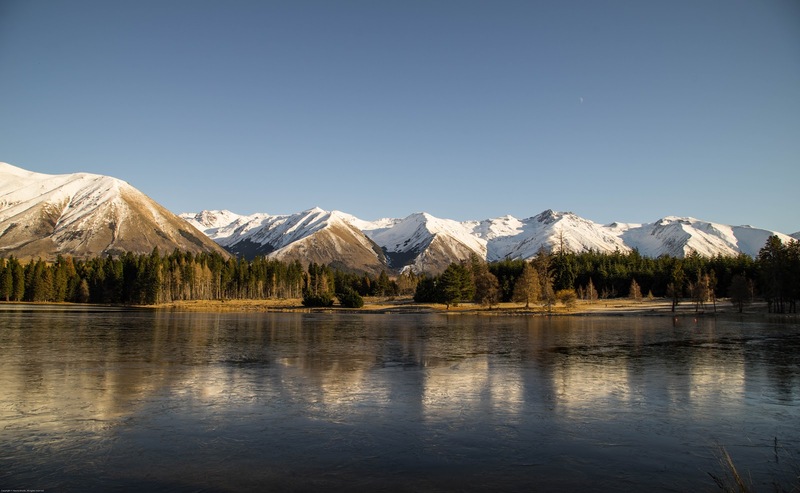 Things are changing in quiet old Wanaka….